“How can 59,054,087 people be so dumb?” a British newspaper headline asked about the Americans who voted for George W. Bush a second time. The 2004 election returns have inspired dozens of books by authors—most of them, as even less than brilliant citizens of the world’s sole remaining superpower could guess, adherents of the political left—seeking to answer the Daily Mirror’s snotty question. The 2006 film “Idiocracy,” which extrapolated a dysgenic future caused by the ruinous overreproduction of the willfully moronic, marked the zenith of this cultural output. To be fair to our lame duck president, fear for the state of the national I.Q. predates Bush, 9/11, and the vampire-like resilience of the widespread belief (33 percent, according to the latest 2007 CBS poll) that Iraq carried out the attacks on New York and Washington. 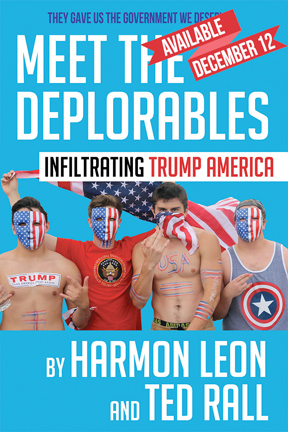 Books like “Dumbing Down Our Kids: Why American Children Feel Good About Themselves But Can’t Read, Write, or Add,” “The Deliberate Dumbing Down of America,” and “Dumbing Down: Culture, Politics and the Mass Media” appeared under Clinton. You get the idea—of course, you’re one of the few who can still read. The modern-era antecedent for the idiotarian industrial complex is Richard Hofstader’s magisterial “Anti-intellectualism in American Life,” the classic cold-blooded indictment of a postwar educational system that prized utilitarianism over learning—”choose a major that will get you a job,” ordered millions of dream-crushing parents—and the popularity of an extreme strain of evangelical Protestantism whose devotees ignore carbon dating technology in favor of their belief that the earth is 6000 years old. You’ve read the stories. “Less than six months after Hurricane Katrina devastated New Orleans and the Gulf Coast,” CNN reported in 2006, “33 percent [of Americans between 18 and 24] could not point out Louisiana on a U.S. map. “In the Middle East, 63 percent could not find Iraq or Saudi Arabia on a map, and 75 percent could not point out Iran or Israel.” The good news is that so few of them vote. Jacoby, like Hofstader, blames education and religion for a national character defined as much by ignorance and arrogance as personal responsibility and rugged individualism. So much American history boils down to Thomas Jefferson not getting his way. In 1786, Jacoby notes, Jefferson floated a bill in Virginia’s influential commonwealth assembly that would have allowed “the most promising sons of poor parents [to] be selected to continue their education through college at public expense.” Jefferson’s proposal wouldn’t have been egalitarian by 21st century standards, yet would have planted the seeds of a federally-administered system of public education similar to those in Europe. During the early 19th century conflicts among religious factions and more generally between secularists and advocates of faith-based schooling had settled into an uneasy quid pro quo. Taxpayers supported public schools; municipalities enjoyed local control. “Local autonomy and the reliance on local property taxes for the support of schools ensured the continuation of the grave inequities that have never ceased to affect learning in America,” Jacoby argues. “By the 1830s, it was already clear that urban areas would have better schools than rural areas, that wealthy communities and states would have better schools than poor ones, and that the most literate, best educated citizens would finance better schools for their children than their less literate and educated fellow citizens. Above all, it was clear that the North would have better schools than the South.” Red states, meet your blue state betters. Jacoby is snotty, which is to be expected of someone who takes the time to write a book dedicated to convincing most of its readers that they’re morons. It may be an inherent flaw in the anti-anti-intellectualism category that the unpleasantness required to produce such a polemic is a turn-off. “Here’s an idea for parents who want to encourage their sons to read more; forget about brain wiring and place a limit of one hour a day on video gaming,” she schoolmarms at the conclusion of an otherwise interesting passage lamenting the decline of logical reasoning. You know she thinks video games are worthless. She can’t hide it. Why not say so—especially since she’s right? She ain’t crazy about rock ‘n’ roll, which is kind of funny considering that so few people remember what the fuss used to be about. After a stint in the Soviet Union, Jacoby returned to the U.S. in 1971. There, “with the poetry of Akhmatova and Brodsky in my mind and heart, I found myself ill at ease in a cultural milieu where Paul Simon and Bob Dylan were being lionized as true poets, with Dylan sometimes being compared to Milton, Byron, Donne, and Keats.” Quelle horreur! Once again, she’s trying too hard to be nice. These are desperate times for sentient beings. 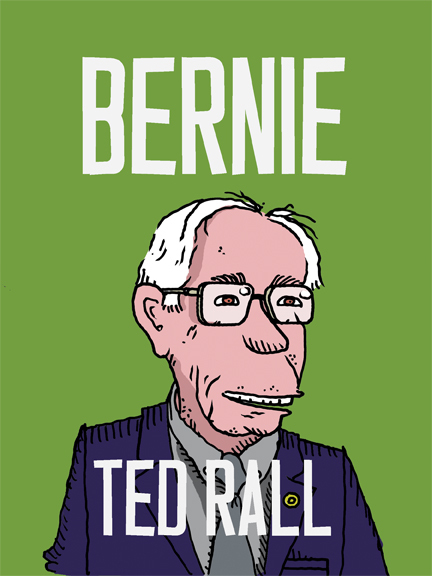 © 2008 Ted Rall, All Rights Reserved. 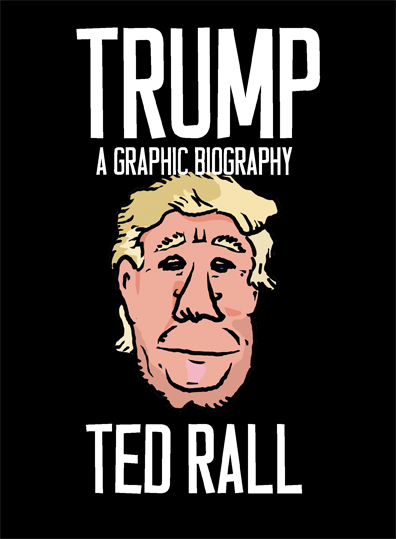 This entry was posted in Essays on February 17, 2008 by Ted Rall.